Hello there and welcome to the 15th instalment of my Business Growth Masterclass. The step by step guide to building the business you always wished you could have. Today, we’re going to look at a few tips and tricks to increase your conversion rates from lead to paying customer or client. You have implemented two persuasive writing techniques in your marketing materials. You have elaborated on your list of emotional trigger words and phrases that will inspire your target market to take action. Now that your target prospects are answering your call to action, how can you get them to actually become your customers? A big part of your focus to date has been on identifying who your ideal customers are, deciding how to reach them, and how to communicate with them so that they take action and contact you. Converting leads into customers is your next point of focus, and step two of the five-step process. You’ve spent so much time and money enticing the right people to raise their hands and identify themselves that now all you and your staff need to do is convince them to become your customers. Generally, how your potential customers perceive your business and your staff, as well as how much trust you can build and how fast you can build that trust are the two key factors that impact conversion rates. Secondly, the strength of your sales process and scripts as well as the level of risk involved in purchasing your product or service also have a powerful impact on conversion rates. But before we get into ways you can improve your conversion rates, let’s take a look at where conversions stand in your business right now. I’ll also show you how to evaluate whether you have a strong conversion rate or not – it’s not as black and white as you think. 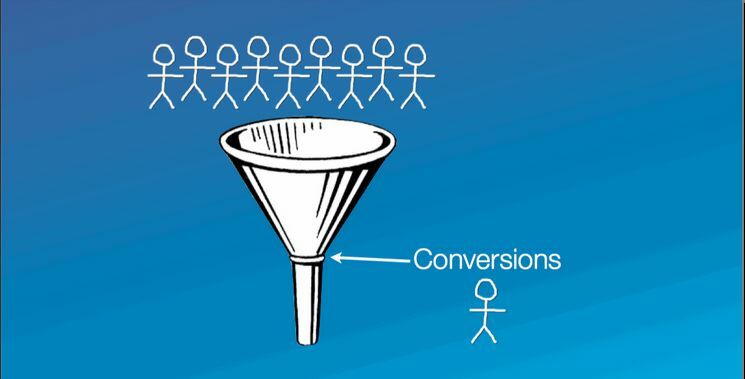 Your conversion rate is the second factor in the customer equation. A conversion rate is simply the number of transactions divided by the number of leads during a specific time period. It’s a ratio between the number of people you attracted with your lead generation strategies, and the number of people who purchased from you and became your customers. So if 150 people come through your store in a day, and 50 of them make a purchase, your conversion rate is 33% for that day. Converting leads – which is essentially the sales process – is likely the core of your daily business efforts. You’ve spent time and money setting up lead generation systems and strategies, so it stands to reason that you should put equal time and energy into converting those leads into loyal customers. I’m going to show you in a few minutes how you can improve your conversion rate with a few simple strategies, but first I want to show you how increasing your conversion rate alone will have a dramatic impact on your bottom line. Using the five-step formula, here is an example of how a 10% and 30% increase in conversions can impact your total profit. What is the average conversion rate for your business? If you’ve been tracking your leads over the past few weeks, you’ll be in good shape. All you may have to do is look at your lead tracking sheet, and divide into it your total number of sales over specific time periods. You’ll be able to analyse what your conversion rate looks like over the course of ad or direct mail campaigns, as well as over various weeks in the month. If you haven’t started tracking your leads, you’re going to have to start in order to understand what your true conversion rate is. In my experience, many business owners overestimate what this percentage actually is, so I feel this is an important step in the process. If you’re starting to track leads and sales today, by the end of a week you’ll have a reasonable understanding of where your business stands. How do you evaluate if your conversion rate is “good” or not? 320 sales x £34 profit per transaction= £10,880 in take home profit. So, when the rest of your business measures are factored in, you actually only achieved a 272% return on investment, which is about half of what you were targeting. Therefore, in this case, a 20% target conversion rate isn’t necessarily a strong one for your business. Now, before you dive into any conversion rate boosting strategies, focus on building trust and generating qualified leads – the cornerstones of a profitable conversion rate. You probably already know that trust is a huge factor in any exchange with a potential customer. When you first learned about sales and the selling process, you learned about building trust and rapport with the people who are giving you their money. So, trust is therefore a big factor in having a healthy (and profitable) conversion rate. Your prospect needs to trust in the value of your offering, as well as the credibility of the business and the knowledge of the people who work there. The issue here, of course, is the length of time it takes to truly establish trust, or credibility. With all your new leads – practically strangers – walking through the door and picking up the phone, you need to establish instant trust and credibility in order to make the most of the time you spend with each prospect. The other important point I want to make is about the role that qualified leads have in your conversion rate. It’s one thing to have hundreds of leads contact you on a daily basis, but if they’re not qualified leads, they’re less likely to buy, and are therefore potentially wasting your time and squashing your conversion rate. Here are five ways you can boost your conversion rate with little improvements to your business. Use testimonials. 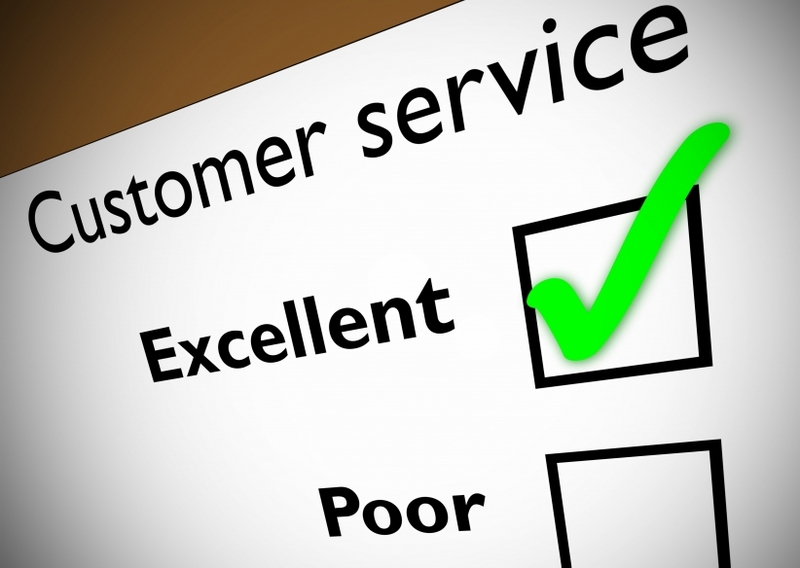 Ask happy customers to write testimonials about their experience at your business. Use their words (or even their whole letters) in your marketing materials, or post them in your place of business. Testimonials boost confidence in what you’re offering and establish trust in the eyes of prospects. Showcase your good news. Post awards, accolades, media articles and other ‘proof’ of your credibility around your business and on your website. 2. Create an image of quality. Consider the appearance of your staff. How do you and your staff members dress? Does your appearance communicate the right message to potential clients about your offering? You don’t need to show up in a suit every day, but make sure everyone’s appearance is professional and appropriate for your business. Improve the perception of your business. This includes the physical state of your place of business, as well as the quality of your marketing materials and the quality of the service customers’ receive when they purchase from you. Give merchandise displays a boost. Can you make your products look more attractive through the way they’re displayed or arranged? Put complementary products together, and create feature product displays to create variety and interest. 3. Train and develop your staff. Give staff conversion targets and incentives. Remember that you’re not the only one who can contribute to an increase in conversions. Involve and support your staff in tracking and boosting conversion rates. Give them individual targets, and incentives for meeting them. Review and improve sales process. Everyone can improve their sales skills, and refine the process they use to close sales. Take an opportunity to watch and give feedback to your staff members, or hold a brainstorming session to discuss what techniques, phrases, objections are most effective when selling your product or service. Develop and continuously update scripts. If you’re not using scripts, it’s time to start (you’ll see why in an upcoming Masterclass). If you are using scripts, make sure you’re revising and improving them on a regular basis based on what you and your staff experience during the sales process. Focus on customer education instead of sales. Face it, no one likes to be ‘sold’ to. Focus your sales process on building a relationship with and educating your customer on the benefits and solutions of your offering. The more they learn, the more they’ll believe what you have to say, trusting the business enough to make a purchase. Increase quality, exclusivity or range. Can you improve the quality of products or services that you offer? Carry a more exclusive product, or extend your range of products? Take a look at your merchandising mix and service menu and identify areas where you can expand or specialise. Make great offers. Strong offers can also serve as an incentive for a potential customer to complete the sale. Offer great perceived value, or exclusive and time-sensitive products or services, and you’ll see a spike in your conversion rate. 5. Take away purchase risk. Provide free trials and demonstrations. Allow your customers to test out your product or service for free, with no obligation to purchase. Or, offer free demonstrations so your customer can see the benefit or solution your product or service provides. Guarantee product or service performance. Take away the purchase risk from your potential customer, and you’ll have a powerful strategy for closing sales and increasing conversions. This is also an immediate trust and credibility booster – you are so confident in your product or service’s results that you’re guaranteeing them. Work with your staff on a daily or weekly basis to consistently measure and increase conversion rates. Post a calendar in the staff room or common area, and track your targeted and actual conversion rates on a daily and weekly basis. This will give you and your staff a visual reminder of the company’s goals, as well as an indication of how the team is performing. You don’t work in your business alone, so involve and motivate your team to support you in growing your business. Give them incentives and help them develop their sales skills, and I promise you’ll see an impact on your conversions. The next step is about customer loyalty – how to keep your clients coming back to make new purchases, instead of continuously trying to buy new clients. As always, let me know if you have any questions. You can use the contact form below to discuss and get help with the topics covered in this,or Any of the previous Business Growth Masterclasses. Hello there and a belated Happy New Year to all who follow my blog. Let’s hope for a busy and very prosperous 2014 for us all. Welcome to the 14th instalment of my Business Growth Masterclass. The step by step guide to building the business you always wished you could have. Today, we’re going to look at what it takes to write brilliant attention-grabbing copy in all those marketing peices that are so important to the growth and prosperity of your business. Great! You’re all set to go with this month’s Masterclass. Read on. Unlike novels or news stories, sales copy doesn’t have the luxury of a reader’s patience. No one is going to leisurely sit down with your brochure and pour over every word, or analyse your ad to really understand what it’s trying to communicate. There are dozens of helpful tips and suggestions in this Masterclass that will strengthen your ability to write effective copy. Someone once told me that copywriting can never be too long – just too boring. And it’s true. Copy needs to be captivating and easy to read or it simply won’t be read. As you work through this Masterclass, I encourage you to take a few of your recent marketing pieces – like a brochure, sales letter, an ad or any other copy-heavy document – and identify the mistakes you may be making. There are always opportunities to strengthen your work, so be open to them. 1. Good copy needs to be clever and fancy. 2. Copy is the crux of the marketing campaign. 3. Only professional copywriters can write effective copy. Use a captivating sub headline to get your readers to read the first sentence. 1. Use the word ‘you’ twice as often as ‘us’ ‘we’ or ‘our’. For example, if I simply wrote, “Buy our product and receive…” it would not have the same impact as “When you buy our product, you will receive…” Similarly, “Our members benefit from hundreds of pounds in savings” doesn’t hold the reader like “When you become a member, you will save hundreds of pounds…” does. 2. Use emotional trigger words. Use the tools that are available to you to continuously update and add to your lists of powerful words and phrases for copywriting. Research ‘power words’ online, or invest in a software programme that will measure the impact of your copy based on a database of statistically measured words. 3. Describe your audience’s problem in detail. Don’t assume that your reader knows you understand their problem, or the experience they’re going through. Sympathise with them and show that you understand their problem, just like you would with a good friend. This technique builds their trust and confidence in you, so the more specific you can be in your description, the better. Keep sentences to about 16 words or less. Now that you’ve grasped a few of the basics of copywriting, use persuasion techniques to drive your message home and convince your audience to take action. Compelling or persuasive writing gradually builds an argument and leads the reader slowly down the path to the call to action. We’ve all been conditioned to pay attention and respond to storytelling, so use this technique to hold your audience’s attention. Stories are also easier to remember than facts or lists. For example, tap into their empathy and tell them the story of someone who had a similar problem to the one they do, and describe how your product or service provided the solution. Use the story to gradually build proof behind your message. It often takes several attempts before someone will truly hear and understand what you have to say, so don’t be afraid of repeating yourself in your copywriting. Repeat your key messages several different times, several different ways. You can summarise your points in bullet form at the end of letters or important paragraphs, or use testimonials to reinforce your message through someone else’s voice. Use the word ‘because’ or the phrase ‘here’s why’ to build trust in your statements and claims. Place short lists of proof beneath bold statements; you are more likely to be believed because you went to the effort of backing up what you had to say. If you like, I can share with you a few tried and trusted templates for getting your marketing message across. All you have to do to benefit from this is fill in the form below and we can get started straight away. These make the job super easy and will save you heaps of time working it all out for yourself. Since you’re probably seeing a big increase in qualified leads by now, we’re going to shift gears in the next Masterclass and move on to step two: increasing conversion rates. Are you ready? Hello there, and welcome to the 12th instalment of my Business Growth Masterclass blog. The step by step guide to building the business you always wished you could have. Today, we’re going to look at how to write headlines for your marketing material which will stop your target customers and clients in their tracks. You have created at least two offers that you can use as lead generation tools . Everybody done that? OK. Let’s get on with finding out how to write attention grabbing headlines. This may sound obvious and may also sound simple, but all your headline needs to do is convince your reader to keep reading. But simple is not always that easy…..
You need a clear understanding of who you’re writing for and what their motivators are before you can attempt to reach them. This is the target market you identified for yourself in Business Growth Masterclass Instalment 7, published in April 2013. If you are trying to target a more specific group within your target market, you can chose to segment your market into sub-markets by demographic or behavioural characteristics. For example, you might choose to focus on only men, or only women with children under five years of age. Once you know who you’re speaking to, clearly define what message you want to communicate to them. Be specific, and even write it down in plain language before you start drafting your headlines. Question Headlines ask the reader something they can closely relate to or would need to continue reading to discover the answer. Questions are easy to read, and can immediately tap into your reader’s emotions.Are you tired of worrying about your children’s education fund? | Do you know what’s in your fruits and vegetables? 5. Draft at least ten different headlines using the templates below, and pick your best three to test and measure. I often get asked how long a headline should be. This is something that is debated in the marketing community quite a bit, but I always tell my clients not to worry too much about it. Use the number of words you need to get your point across, without writing a paragraph. Remember that your headline needs to do one thing: get the reader to keep reading. Don’t be afraid to draft pages of headlines or sift through the pages of a thesaurus before you get yours just right. Sometimes you’re only a word or two away from transforming a boring headline into a really effective one. If you’re having trouble, you can rely on the headline templates I’ve included in this Business Growth Masterclass. In future Business Growth Masterclasses, you’ll work on creating brochures, newsletters, direct mail pieces, sales letters and sales scripts – all of which need strong headlines to get noticed. In the next Business Growth Masterclass we’re going to work on a really popular lead generation tool that also relies on effective headlines for success – ads. You’ll focus on how to use print advertising to bring in qualified leads, as well as how you might benefit from trying some inexpensive forms like classifieds ads and Yellow Pages. You have identified which marketing materials you need, and which you can live without. You have completed an audit of your existing marketing materials, and identified opportunities for improvement based on the criteria in The Business Growth Masterclass no. 10. Focus on using powerful offers to generate leads, not to close sales. Powerful offers that drive your audience to take action can be used in your business to do a myriad of things. They’re great for moving old or overstocked product, overcoming buyer objections, eliminating purchase risk, or even just building your customer database. Well-crafted offers are also fantastic lead generators – which is what we’re going to focus on in this Master Class. In this case, the offer is designed to get potential customers to identify themselves, not to close sales. Once those potential customers have identified themselves – they’ve taken action to redeem the offer – they enter the formal sales process and you can convert them into a loyal customer. 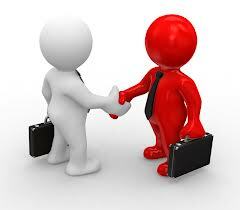 Offers designed to be lead generators drive more qualified prospects to your business. They weed out the buyers who would take advantage of your offer, but who are not otherwise a part of your target market. I’m going to show you how to speak to your target market’s “hot buttons” and emotional motivators, instead of simply crafting an offer based on financial savings or bonuses. Let’s get started! A powerful offer is irresistible to your potential customers’ emotional motivators. In simple terms, a powerful offer gets people to respond, or take action. It will provide enough motivation for the reader to pick up the phone, visit your website, or walk into your store. Using emotional motivators in your offer (and in your headlines and copywriting, which we’ll review in upcoming Master Classes) will drive qualified prospects to your business, and will make the job of converting customers into repeat business easier and more cost effective. A powerful offer will feature an element of urgency or scarcity as a key motivator for action. If I offered “2 for 1 Mother Daughter haircuts” every day of the year, chances are I wouldn’t have a stampede of prospects at my door. I would likely draw a few new clients a week, but the majority of those who saw the offer – even if they were interested – would probably put it off for later. When you create an offer for lead generation, you want your prospect to take action as soon as possible. Now, let’s face it, we’re all procrastinators at heart, so you have to give your audience a reason to take action without delay. So, instead of just “2 for 1 Mother Daughter haircuts,” I could offer, “2 for 1 Mother Daughter haircuts, Mother’s Day weekend – 20 spots available, book your appointment today!” This offer has an element of urgency – the offer is only valid for a two-day period – and scarcity – there are a limited number of appointments during those two days. Limited time offer Urgency 2 for 1 Mother Daughter haircuts – Mondays from 1pm to 4pm. Limited supplies available Scarcity Free! Mother’s Day gift (£50 value) with purchase for the first 20 customers on Mother’s Day. Seasonal specials Urgency Mother’s Day Special: buy one, get one free on any service in our spa, Mother’s Day weekend only. Free gift with action Scarcity Bring your mom in for a free haircut on Mother’s Day, and receive a salon bonus pack, worth £45, absolutely free! Daily deal Urgency Book an appointment with us by the end of the day, and we’ll add on a free haircut for your daughter. Let’s walk through an easy step-by-step process for creating powerful offers that will generate qualified leads for your business. 1. Establish who you are trying to target, and what you want them to do. Like all of your lead generation efforts, you need to establish who your target market or audience is before you can attempt to reach them. In most cases, this will be the target market you originally identified. In my hair dresser’s salon example, the target market is middle-class women aged 18 to 65 with an interest in the latest trends in fashion and beauty. You may also wish to segment that group of people into a more specific category. I could limit my target audience to those women in my target market with daughters. Secondly, you must be clear about what you want your readers to do, and ask them to do it in your offer. Since you’re creating an offer to generate leads, in this case you want readers to identify themselves in some way, and make contact with you. In my example above, I asked customers to call and reserve their appointment today. You may ask your readers to come to the store for a free trial, or place an online order. 2. 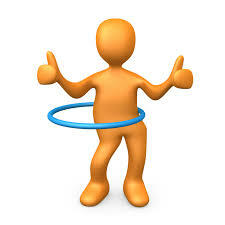 Identify the emotional motivators or “hot buttons” that will get your target to take action. Using the categories below, decide why your target market needs or wants what you have to offer. How do they feel in general about your product or service? What problem does your offer provide the solution to? Basic needs, including food, shelter, love, personal maintenance, etc. In my example, I’m targeting the emotions associated with the bond between mothers and daughters, especially on Mother’s Day, and their common interest in beauty services. The offer alludes to an opportunity to spend time with each other, an activity for Mother’s Day, and a way to save money while doing so. 3. Once you have identified the emotions you will try to target, determine which type of offer will work best. Ask your potential customer to act immediately for a free reward. This is a great lead generator if you can offer a solution to a common problem for free. Examples would be “Contact me now to receive your free 10-page guide to financial freedom,” or “Act now and get your first month of home security for free – a £99 value!” Try to include the pound value of what you are providing for free to increase the perceived value. Guarantee the performance of your product or results of your service, and you’ll take away the fear many customers feel when making a purchase. This is a great way to overcome barriers when a customer is making a large or important purchase, or when safety and security are involved. Money-back guarantee: full refund for unsatisfied customers. Double-your-money-back guarantee: double refund for unsatisfied customers. Long-term guarantee: one year, multi-year or lifetime guarantee. Another great way to reverse purchase risk is to offer a free trial (7, 14, or 30 days) or to provide a free demonstration. This works with all kinds of products or services, and allows the customer to convince himself that he needs what you have to offer. Those customers who are concerned about making the right purchase decision will be put at ease by this offer. This offer appeals to customers looking for convenience because their needs are met in one place or one purchase, like start-up kits and special packages. Packaging products also increases the perception of value, often without adding costs. For example, offering a free printer with computer purchase. Always offer premiums over discounts, as they will better serve your bottom line. Reward purchases with bonus products or services, and you’ll give new customers an incentive for choosing your business over the competition. 3. Draft several hard-to-refuse offers based on these motivators. Brainstorm as many different types of offers as you can, using emotional keywords or hot buttons. Depending on the type of business you have, and the products or services you offer, you may wish to focus on a single product or service, or open up the offer to all the items you have in store. Are there any freebies you can throw in? Any overstock that can be handed out as a free gift, packaged with a complementary product? What about bonus services that you can add on to products for a limited time (with limited costs)? Will a simple guarantee make a big difference? Remember that when you are describing your offer, be as specific as possible and avoid lengthy description of product details and benefits. Your goal is to sell the offer and motivate readers to take the next step, not to sell your product. 4. Evaluate the financial viability of each of your brainstormed offers. Even though you’re using these offers as lead generation tools, you need to make sure that each transaction will turn an acceptable profit – or at least allow you to break even. The last thing you want to have happen is a store full of leads redeeming an outrageous offer that will leave you broke. A. Costs: Determine the costs involved in your offer (hard costs – product or service, and soft costs – advertising or marketing). B. Profit: Assess how much profit you’ll generate per sale (price minus hard costs). C. Break Even Point: Calculate how many transactions you’ll need to break even (how much profit will you need to make to cover soft costs). Transactions: £300 / £10 = 30 transactions required to break even. From here you can assess whether or not you can realistically break even, and if your offer is financially viable. In this example, 30 transactions is a reachable target for my salon over the course of a weekend. I may also consider extending the offer over the course of a week, maintaining an element of urgency, but allowing more time to recover my costs. Keep in mind that their initial purchase in response to your offer may only allow you to break even, but if you are able to convert them into repeat customers, the profit of their subsequent purchases may make up the difference. 5. Select two of your financially viable offers, then test them to measure which works best. I like to test two offers at a time when I first start to use this lead generation strategy. This will tell me what emotional motivators really work with my target audience, and then I can continue to build on that knowledge. Use your lead tracking system to measure which offers generate the highest number of leads. If coupons are a part of your offer, put a tracking code on each of them, or make sure that your staff are asking every inquiry which offer they are responding to. Remember, testing and measuring is a vital component of your lead generation efforts, and it elicits some really valuable information. Once you know what works with your audience, you can use that information on emotional motivators to influence decisions you make when writing headlines and other copy. Get creative and put together new and exciting offers for your potential clients on a regular basis. Remember – you’ll need to keep improving and revising your offers to ensure you continue to draw leads from them. Otherwise, your audience will get used to seeing the same offer, assume it is always available, and it may become stale. Use opportunities like seasons, events, anniversaries and other celebrations to change and renew offers. When you bring in a new product line, feature a new service, or try to go after a new segment of your target market, check-in to see if you can create an offer around the news and bring in some new leads. In the next Business Growth Master Class, we’re going to spend some time cultivating your headline writing skills. You’ll see that we use headlines in all types of marketing and sales materials, and they’re a powerful – or even essential – component of your lead generation tools.